Our team at Wager Evans Dental wants to help you establish healthy dental habits with your children. Dr. William Wager likes to pay special attention to his younger patients and keep them on the right track for a lifetime of healthy smiles! 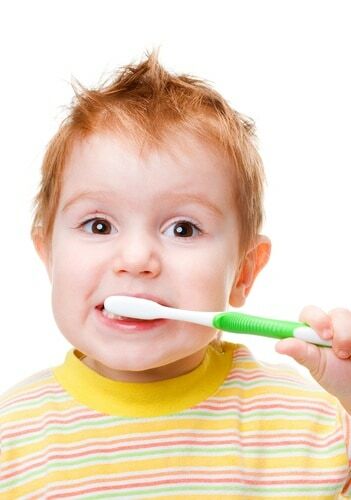 Below are answers to some frequently asked questions about childhood dental health. Q: How should I clean my infant’s mouth? The Super Bowl is over. That means an end to football season, right? Wrong. Many high schools and colleges start spring training to prepare for the fall season. While the athletes may not be in full dress, they are wearing protective gear, including their mouthguards. I am a proponent of the athletic mouthguard. Athletes should wear mouthguards because collisions are unavoidable in some sports, and accidents happen in all sports. There are several types of athletic mouthguards and with that, different degrees of protection. The stock mouthguard: These can be purchased at sporting goods stores, are limited in size, and are the least protective. They stay in place by the athlete biting down on it. They are bulky, uncomfortable, interfere with speech and breathing, but offer some protection. 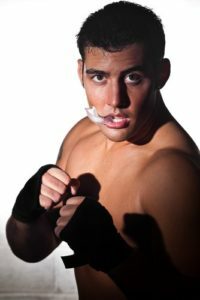 Boil-and-bite mouthguard: This is one of the most common mouthguards on the market. They, too, are limited in size and may not cover the back teeth. This mouthguard is softened in hot water, placed between the teeth, and molded to fit your bite when pressure is applied. While some people like boil-and-bite mouthguards, others find them ill-fitting and bulky. Athletes often bite through this mouthguard during the forming and fitting, thus increasing their chance of injury. Custom-made mouthguard: This is the best choice of mouthguard, because it is specially made for the athlete’s mouth. When creating a custom mouthguard, I take an impression first, then fabricated the appliance to fit the athlete’s bite and mouth shape. The thickness is uniform, which increases comfort and protection. Custom-made mouthguards also offer more protection against concussions, jaw fractures, and neck injuries. I’m Dr. Brian Evans of Wager Evans Dental. If you are interested in a custom fitted mouthguard, please contact my Reno office at (775)829-7700. These necessary parts of your athletic equipment are reasonably priced and should be worn for all sports. Bottom line is, with a comfortable mouthguard, you’ll be better protected and more likely to wear the appliance. Brushing as easy as 1, 2, 3! One of the most important things your child can learn early in life is how to maintain healthy hygiene. While hygiene is important for every part of the body, oral hygiene is particularly important because it has such a power over your overall health. As family dentists, the Wager Evans Dental team wants to help you instill quality habits in your child, and it’s never to early to start. Teaching your child how to brush their teeth properly is a great way to break the ice. A fear of the dentist is one of the most common fears among Americans. It is also the number 1 reason why people don’t have their teeth checked and cleaned regularly. This can be detrimental to your oral health, as well as your overall health. We know you don’t want your child to be one of these people. We’re Dr. Brian Evans and Dr. William Wager, and as family dentists, we take the health of your kid’s smile as seriously as you do. 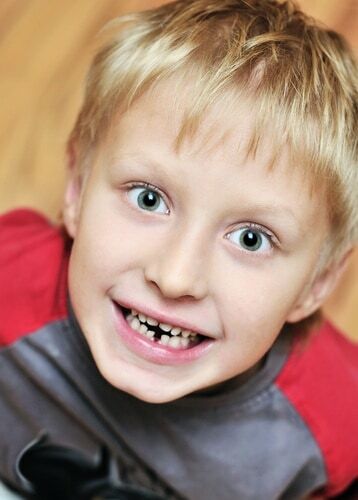 We begin checking your child’s teeth when they are around one year of age. Although regular dental cleanings don’t begin until around age three, it is important for us to check your child’s dental development prior to that, just to make sure they are on the right track to getting a great, healthy grin.